The phylum known as Arthropoda incorporates chelicerates, insects and crustaceans. The Crustacean class is the largest group of arthropods of a marine nature, and there are approximately 30,000 different species in this group alone. The life cycle for different crustaceans is going to have unique qualities, but there are also similarities between one crustacean and the next when it comes to their lifecycles. This stage of the crustacean's life cycle is perceived as being a defining link among all crustaceans. This is the first larval stage for crustaceans and consists only of the crustacean's head and telson as neither the abdomen nor the thorax has developed. The nauplius has only a single eye located atop the head and three pairs of cephalic appendages that allow them to swim. The crustacean's life cycle involves a larval stage that is known as a zoea. When the zoea name was given to the crustacean, naturalists believed that it was an entirely separate species. During this stage, the larvae will swim with thoracic appendages rather than cephalic appendages. The stage of growth following the zoea stage of growth is either the mysis or megalopa stage dependent on what crustacean group is involved. The megalopa stage is the final stage of growth for most decapod crustaceans including lobster and crabs. The mysis or megalopa stages of development are the final stages of development before reaching the post-larval stage. During the post-larva growth stages, the maturing crustacean will begin to look more like its adult form. This is also the stage of growth where the crustacean will depend more on foraging and grazing to feed. This is the period of growth where the crustacean will begin to develop its legs for swimming as well as walking. By the time the crustacean has reached the end of its post-larval growth stage, it will be at its full size and its adult appearance. 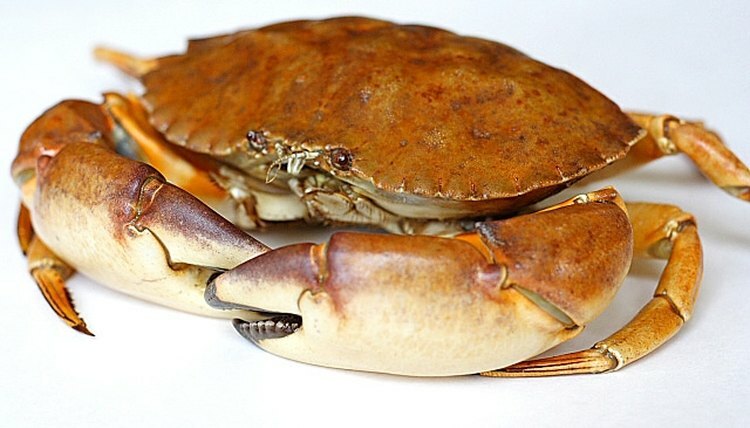 The adult growth stage is reached by one year of age for most crustaceans. After a year has passed, most crustacean varieties will be capable of mating and reproducing. By the adult stage of life, the crustacean has finished growing and is grazing and feeding on its own rather than relying on nutrients from its egg.